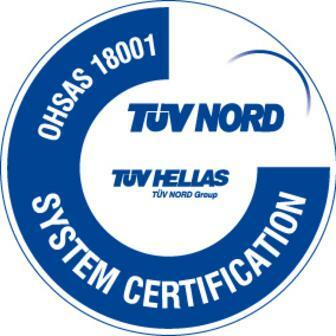 "ATTIKES DIADROMES S.A.",implementing the Road Safety Management System and its activities under the requirements of the standard ISO 39001: 2012, is committed to adhere to specific processes and procedures for its fleet vehicles and to reduce incidents involving its staff on the motorways far as possible, fully responding to the rules of science and art. It is also committed to the continuous improvement of the Road Safety Management System at all levels. The Company's Management monitors and controls its road safety objectives, in order to confirm the effectiveness of the Road Safety Management System and to initiate the necessary actions, so as to achieve the satisfaction of the system's requirements. AttikesDiadromes S.A., implementing the Quality Management System ISO 9001:2015, achieves the effective management of the projects which the company undertakes, through the implementation and observation of specific processes and procedures, fully responding to the rules of science and art. While designing the Quality Management System, the company takes into account the organization's operating framework, as well as the demands of the relevant stakeholders. Using this methodology, the company ensures a high level of customer service through procedures which support its activitiestransparently. The Company's Management is committed to the continuous improvement of the quality management system at all levels and to comply with the legislative and regulatory requirements. This certification pertains to the integrated system, based on which companies manage the environment and comply with the national and European legal requirements in effect. The ISO 14001:2004 certification of "Attiki Odos S.A." and "Attikes Diadromes S.A." pertains to the minimization of waste, the minimization of noise and disturbances from the operation of the motorway, the protection of antiquities and cultural heritage monuments discovered during the construction, the maintenance of green areas, the rational management of raw materials and natural resources required for the operation of the motorway, etc. The OHSAS 18001:2007 certification pertains to the implementation of the employee health and safety management system and certifies the promotion of the continuous improvement of the occupational environment, the prevention and elimination of occupational hazards, the continuous information and training of human resources on subjects related to their health and safety during work, the continuous monitoring of employee health by the occupational physician, etc. "ATTIKES DIADROMES S.A.",implementing the Road Safety Management System and its activities under the requirements of the standard ISO 39001: 2012, is committed to adhere to specific processes and procedures for its fleet vehicles and to reduce incidents involving its staff on the motorways far as possible, fully responding to the rules of science and art. It is also committed to the continuous improvement of the Road Safety Management System at all levels. The Company's Management monitors and controls its road safety objectives, in order to confirm the effectiveness of the Road Safety Management System and to initiate the necessary actions, so as to achieve the satisfaction of the system’s requirements. AttikesDiadromes S.A., implementing the Quality Management System ISO 9001:2015, achieves the effective management of the projects which the company undertakes, through the implementation and observation of specific processes and procedures, fully responding to the rules of science and art. While designing the Quality Management System, the company takes into account the organization’s operating framework, as well as the demands of the relevant stakeholders. Using this methodology, the company ensures a high level of customer service through procedures which support its activitiestransparently. 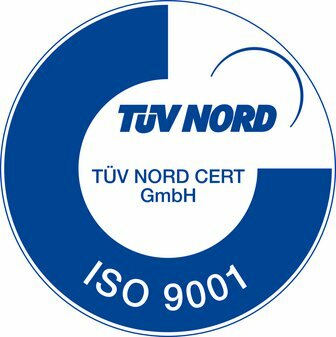 The Company's Management is committed to the continuous improvement of the quality management system at all levels and to comply with the legislative and regulatory requirements.